Go and Watch Seethamma Vakitlo Sirimalle Chettu(SVSC) , It is a complete family entertainer. It is definitely worthy watch for this sankranthi. So if you want to see a non-violent, family values kind of film, this one is for you. It's just that it seems a little out of date. It is very unlikely to point out a single dull moment in this crowd-pleasing, tear-jerking healthy family entertainer that presents a story akin to every household. Despite the presence of stars such as Mahesh Babu and Venkatesh, "Seethamma Vakitlo Sirimalle Chettu" (SVSC) boasts of being a successful multi-starrer. Simply SVSC is 'A Perfect and Extraordinary Gift for this Sankranthi'. Seethamma Vakitlo Sirimalle Chettu is a film with sentiment, comedy, and meaning. Everyone must watch this film along with family. The movie success will now depend on how families and ladies lap the movie. Both Venkatesh and Mahesh Babu have set aside their larger-than-life images and given themselves to the director and his vision. Venkatesh shines when he shows his temper, mellows down for his brother and expresses his inability to cope with his unemployment, all without too many dialogues. t's a good old fashioned family drama sans the usual masala, so as long as you don't expect fire works you'll not be disappointed. Sankranthi is not only special event for Telugu's across the world, but a very crucial time for Tollywood as all the big flicks foray into grabbing collections and stealing fans hearts. In the last few months, SVSC gained such a momentum that every telugu movie fan is looking forward for this multi-starrer. Bringing and handling two big star heroes together for a film about human relations is something like 'Mission Impossible'. Srikanth Addala, who is just one film old pulling this hard task should be appreciated for his courage. Its a positive sign to see two big star hero's after 25 years doing a multi-starer film. This film has opened and gave life back to true multi-starer movies in Tollywood._x000D_ _x000D_ Colorful background screen with director Srikanth's voice over about human relationship is complemented with middle class family atmosphere. This will definitely reminds about place where you were born and brought up. Introducing two star heroes in different themes within a single frame is creative, however the solo song 'YemChedam' lost its charm because of director's plan of canning it with so natural feel. Venki and Mahesh's friends gang scenes, Bharini and Ravibabu comedy scenes, Raja Ravindra police episode are not good, even disturbed the main theme of this film. Mahesh's mass dialogues with pretty girls sounded comedic, scenes between Mahesh babu, Grandmother and mother are cherish-able. Few emotional scenes between brothers were natural and heart touching._x000D_ _x000D_ Even after casting 'can't ask for more' combination of Venky&Mahesh... entire movie go flat and never picked up the pace. You would wonder about why should there be two star heroes for such story plot and poor execution. Apart of 3-4 heart touching scenes between Mahesh-Venky and Venky-Anjali entire movie looked like kichidi of perceived comedy, Time pass friends, unconvincing family disputes and non required police scenes. Though the movie was announced to be a focused one on noble topic 'Human Relationships'... Director had to struggle even to showcase bonding of brothers. When movie started picking pace and gaining required feeler to be a not bad film, team axed all the dreams of fans by showing an never expected END card. One would wonder about why this movie was hyped to be a 40Cr+ movie, when there are no colorful scenes and even songs visualized very cheap manner. Prince Mahesh charishma & victory Venkatesh family fans base should save this movie from being debacle. A great tribute for telugu audience from a sensible director Srikanth Addala. Any lenghty review cannot bring in the true feelings and essence of this masterpiece and has to be watched in the theater to get a feel of it be a part of this beautiful family. Commercially, the film runs completely on star power despite average content but it has enough potential to woo the family audiences and ladies in a large way to the theatres. Telugu Mirchi says you won’t stop at seeing this film once, three cheers to the entire team, cast and crew. Addala deserves all the blessings for the wonderful message he had given laced with dollops of fun. SVSC is a neat family movie without any substance. There are no elements which work in favour of either Mahesh Babu fans or Venkatesh fans. Even the family audience gets disappointed with the output of the movie. Its where we can all feel the film has all necessary elements in the first half of the film with entertainment while there is a slow narration in second half. Srikanth Addala has all the credit to handle two stars balancing the required potential for the film. Mahesh Babu is natural, charming as always and he has an amazing screen presence. The Super Star is entertaining with his one-liners in Godavari slang and his comictiming is worth mentioning. His scenes with Venkatesh are a visual treat to watch. Simply SVSC is 'A Perfect and Extrordinary Gift for this Sankranthi'. Seethamma Vakitlo Sirimalle Chettu is a film with sentiment, comedy, meaning. Everyone must watch this film along with family. Don't miss this film. Seethamma Vakitlo Sirimalle Chettu will be a classic film in Tollywood. The movie story deals with family bonding and human emotions. The movie is of Genre Gundamma Katha, svsc will be a modern classic.The film’s run time is said to be 2hrs 40 minutes. Go and watch the Feel good movie. SVSC is a clean family entertainer this Pongal. Seethamma Vakitlo Sirimalle Chettu is a complete family drama with a few commercial elements. The performances of Mahesh Babu and Venkatesh are the main attractions in the film. SVSC IS THE FAMILY MOVIE IF U LOVE UR FAMILY U LOVE THE MOVIE BEST WORK BY DIRECTOR EXCEPT SLOW NARRATION IN SECOND HALF EVERY THING IS FINE AND EVERY ONE CAN WATCH THE MOVIE. It is clean and engaging. The marketing tag of ‘For the entire family’ is not all lies with this one. One Man Show by Super Star Mahesh Babu. Venkatesh's performance as stubborn - angry man, who speaks his mind and at the same time maintaining high bonding his brother is good. His level of maturity in acting can be sensed in few heart touching emotional scenes. Seethamma Vakitlo Sirimalle Chettu is a wholesome family treat. As we hear Gundamma Kathaas classic of yester generations,SVSC will definitely be a human values dictionary for next generations. It is a good watch for this Sankranthi, and Venkatesh-Mahesh Babu combination shall not disappoint you. A big thumbs down, can do average business just for season and give a big star case, onlt to see audience feeling robbed away the watching the movie. A Clean & Neat Emotional Family Film. SVSC is a sentiment and emotions filled family entertainer. Performance of the movie will be depending on how much sentiment and slowness will be recieved by the movie lovers. 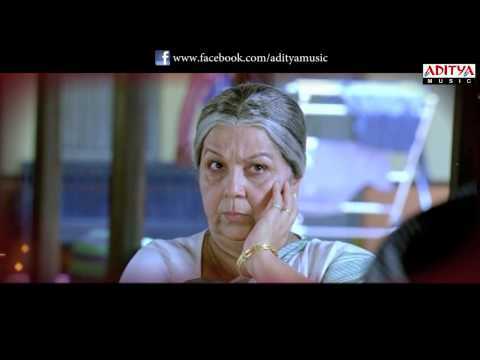 Seethamma Vakitlo Sirimalle Chettu (SVSC) is a clean family entertainer that is good only in parts. Go watch it with out any expectations. This movie is bound to break records in US, might cross the million dollar club by the end of the first weekend. All the exhibitors are bound to make money on this movie. It is a very good simple but beautiful family entertainer for sure the US audience will embrace this family entertainer. The first half of the movie is good and the graph in the second half dips slowly. The climax looks abrupt. Just like TV show, the movie just goes on slowly with out generating any stir with the entertainment quotient totally missing. SVSC should not be treated as a multi-starrer, but should be seen as a multi-actor film. The roles played by Venkatesh and Mahesh Babu are realistic with a bit of grey shades and natural emotions.